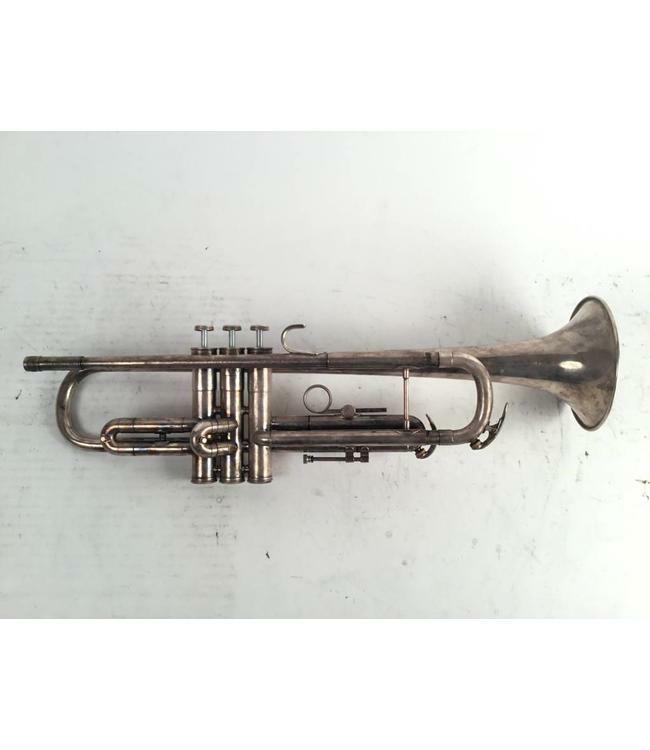 Used Conn 60B Bb trumpet in silver plate. This trumpet is in excellent condition with very minor plating wear at contact points, not effecting play ability. Comes with case.